Often when working on site you can find yourself without the means to refuel tools or have access to much needed water. Our hireable bowsers offer the ideal solution to this issue. 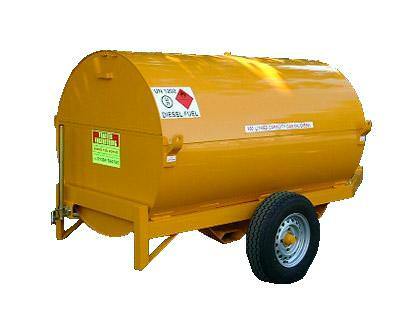 We stock both a 250g water bowser as well as a fuel option in 250 and 500 gallon capacity, and both are able to be delivered to the site to make your job that much easier. 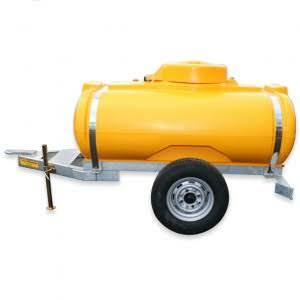 Water bowsers are ideal for any site without a mains water supply. These have a huge range of uses beyond just a general supply of water, including dust suppression. On top of a large capacity, these bowsers are also highly maneuverable, with a pin hitch allowing easy movement with a dumper or forklift, making them perfect for use on site. Available for delivery or collection in 250 and 500 gallon sizes. Perfect for your smaller and bigger sites.